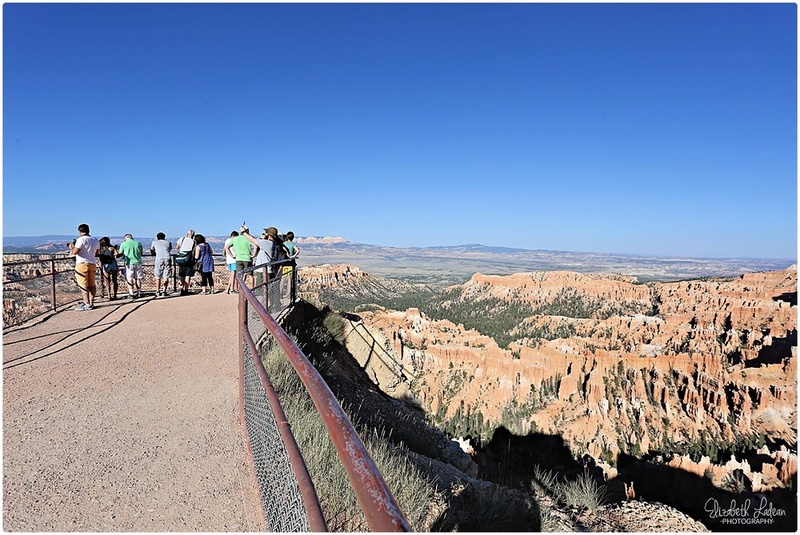 Part two of our Utah vacation was Bryce Canyon. Fortunately, Arches to Bryce was only a little over 4 hours. Thank goodness we didn't have to drive 6+ hours again in less than a 48-hour period!! We came into Bryce on the 27th, Monday. My first impression was that it's a lot more commercialized. Arches had a wild feel, Bryce felt more organized. Lots of buses bringing hoards of people to and from the visitors center - and when I say hoards of people, I mean that! The good news though, that I learned quickly once we began hiking - is that the park is massive, and the people fan out, spread out etc.. and before long, it was just us and nature. Since we arrived around lunch, we hit up the visitors center and then went to find some food. 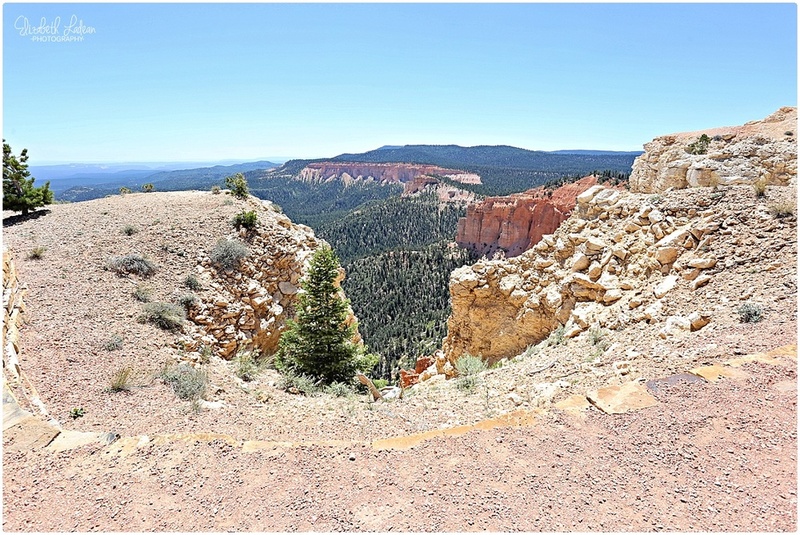 We decided to drive up to Bryce Lookout Point since by then it was already early afternoon. Once there though, the plan to just "look around" turned into a full hike. 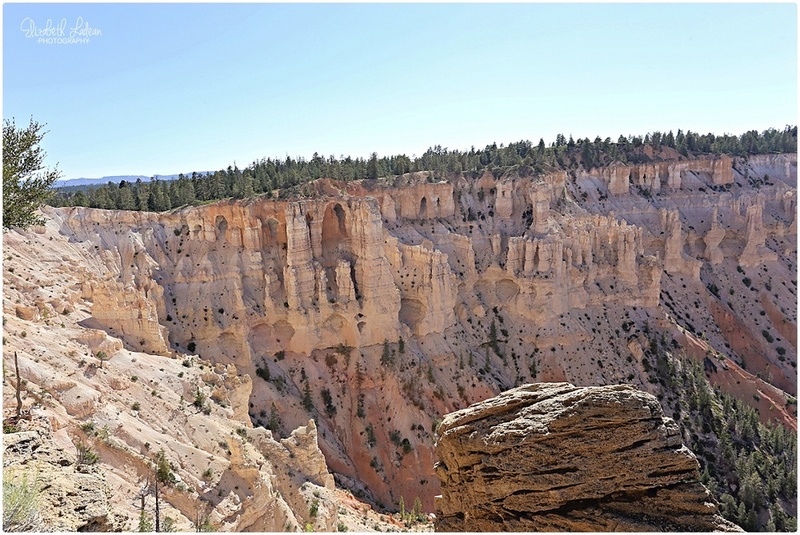 From Bryce Point we hiked the rim out to Inspiration Point. Totally worth it. Even if it was a much later start than we would have preferred. 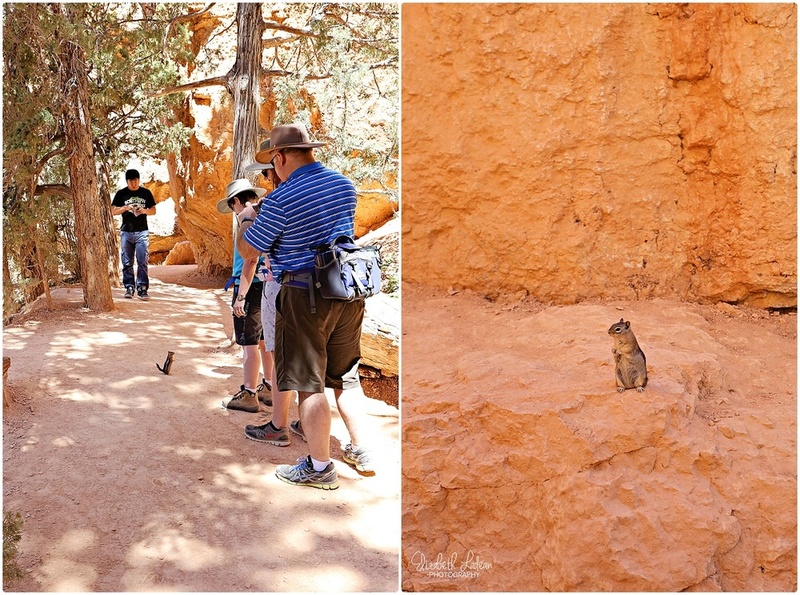 The commercialized feeling fell away the further we hiked, and honestly, this was one of my fave hikes of Bryce. The fact that it was pretty much just us out there definitely was a strong factor. But the views were awesome and the hike itself felt so legit. 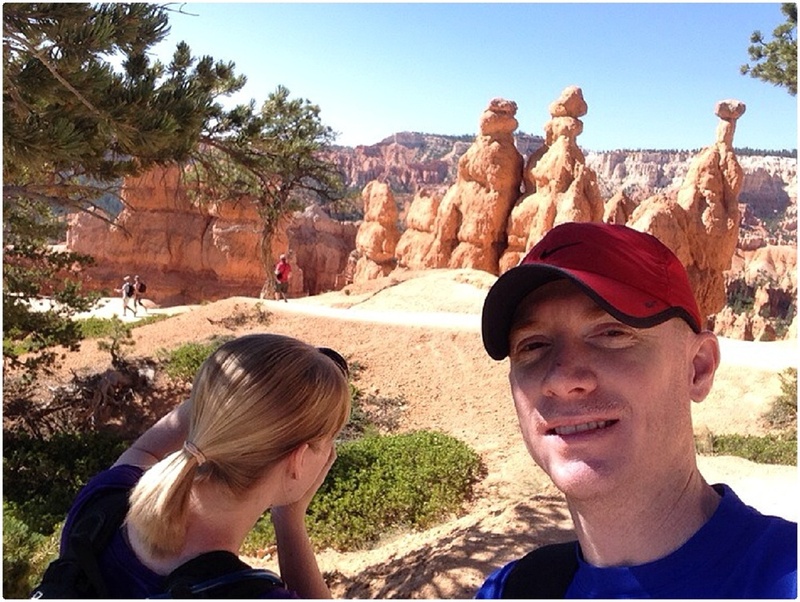 Bryce is all about Hoodoo's.... What are Hoodoo's you ask? Some kind of rock formation, you'll see them in upcoming pics. If you want to know some technical info, don't ask me, click here instead! It was somewhere along this hike that we both were lost in the view. The sounds of the wind in the trees. The sound of our shoes against the dirt and gravel. When suddenly. I heard it. That familiar sound that I've never once heard in real life but familiar all the same. The sound of a rattle. The second I heard it I stopped dead in my tracks, my eyes going directly to the location of a curled up rattlesnake shaking his shaker!! This is the part in the story where my version and Wes's version do not match. He says I was at least 5 feet from that sucker. I swear to bob I was no more than 2 feet, tops. How would he know anyway, he was lolly gagging behind me! Speaking of Wes... He taught me something along this hike. What "squinnies" are. Or, as I kept calling them "chinnies" . Am I the only person in the world who had never heard of squinny? 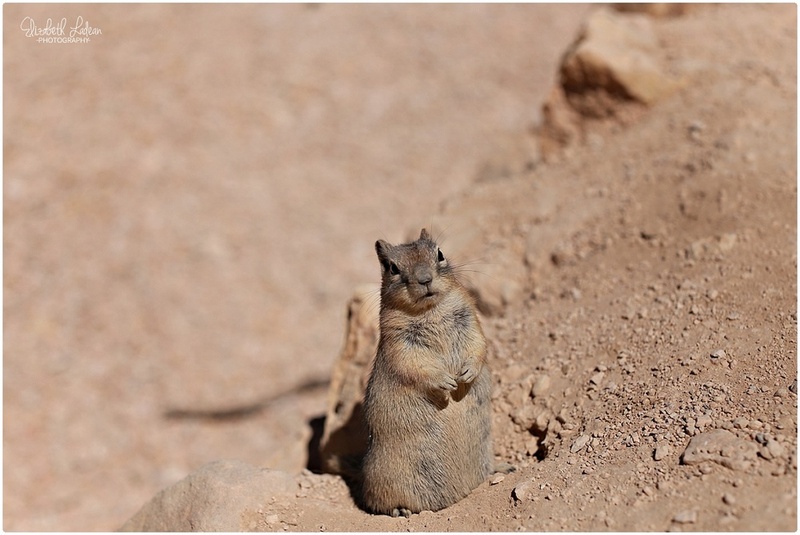 That's a ground squirrel, people. On our drive out of the park that first evening, we noticed so many cars ahead coming to an awkward stop and people jumping out to look at something. It didn't take long before we too were an awkward park job ourselves. Deer. Sooo close to humans. This part of Bryce was equally amazing and sad to me - how incredible to get so close to such a unique animal in the "wild". But also, kind of sad that these guys are so accustomed to humans, they aren't really in the wild anymore. Day 2 at Bryce was a much earlier start! 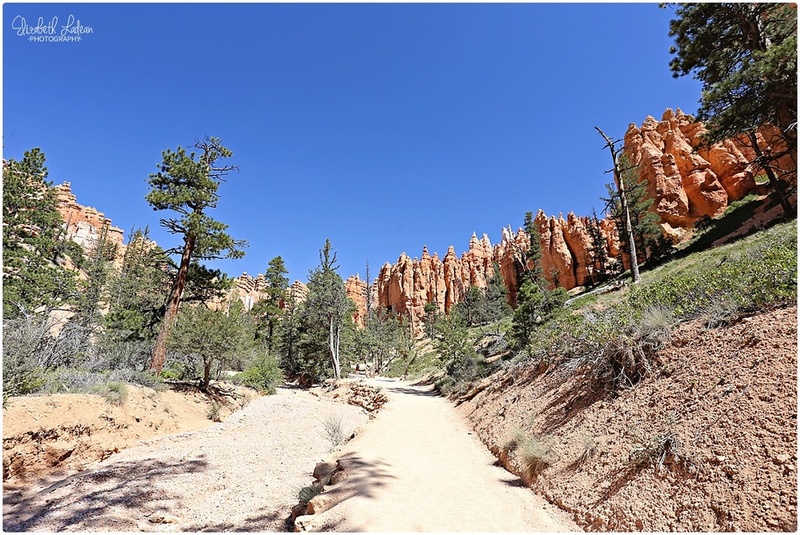 We tackled Navajo Loop Trail. Pretty amazing hike. 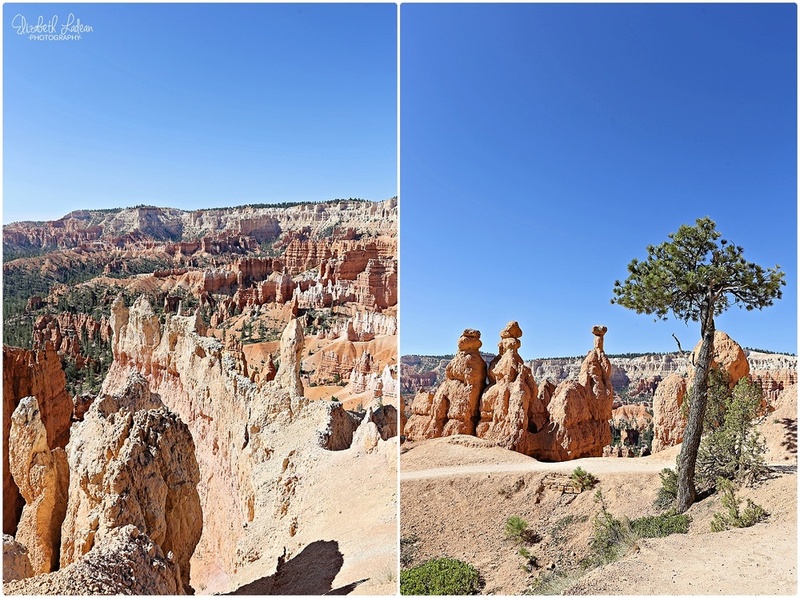 It took us down into the hoodoos! 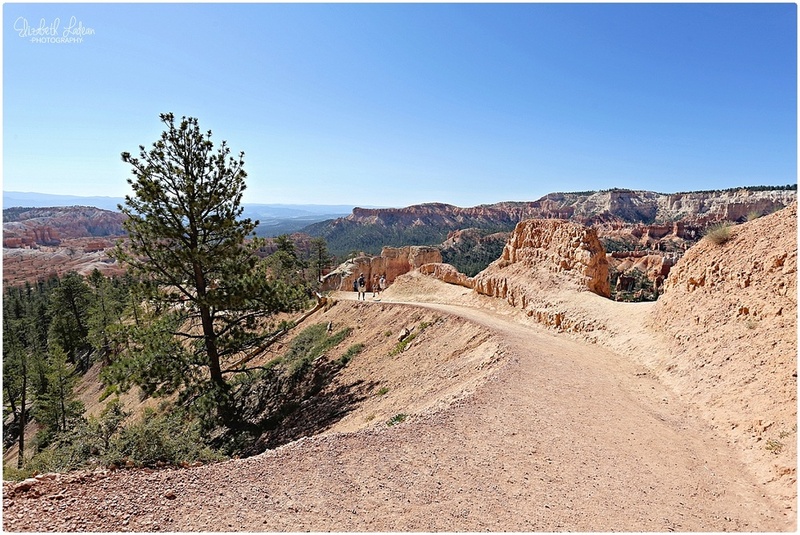 The trail map says we went down into Bryce Amphitheater through a slot canyon where a whole lot of Douglas-Fir trees stretch toward the sunlight. Sounds pretty incredible, huh? It was! Wes found it funny to take multiple Snapchats with him looking bored and me in the background, clicking away with my camera. Each labeled "This is how most of the hike is going" Ha.......ha. Now comes a part of our hike where I couldn't believe it was really happening! This guy... He popped up on the trail to say hello and posed for forever! WHAT! I loved him! I'm sure he was just hoping I'd love his posing skills so much that I'd share a snack. But still. We hiked a little further and there was another one! 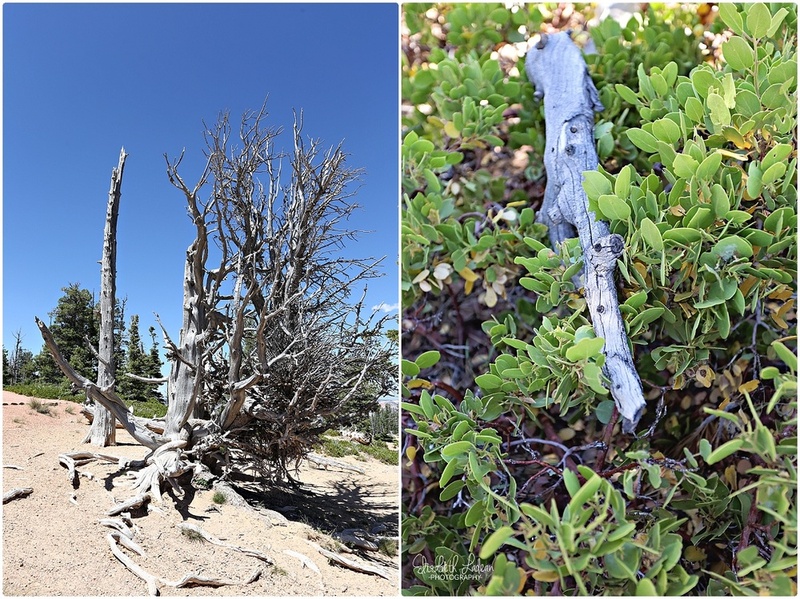 After finishing up Navajo and getting some lunch, we headed back into the park to tackle a trail called Bristlecone Loop. This was a peaceful one! Amazing views, cool winds blowing through the trees. And the smell of pineeeeee, so good. 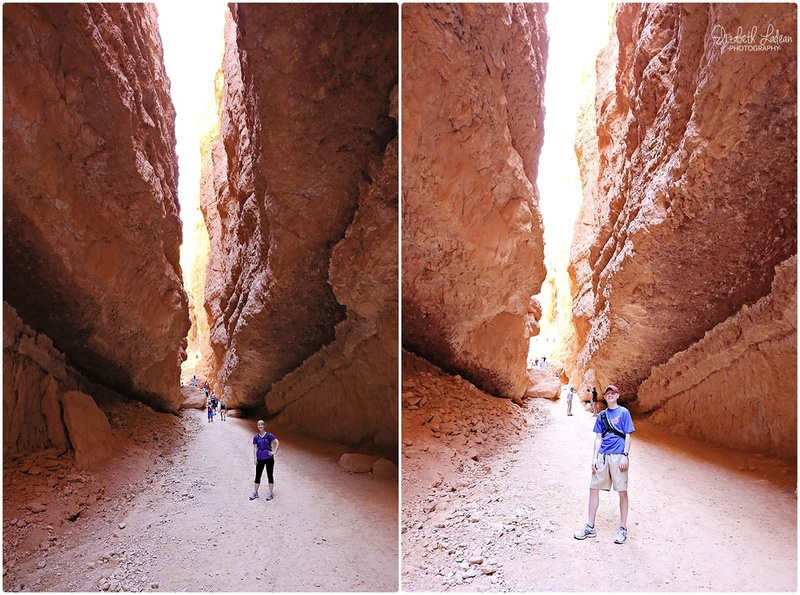 Toward the end of our second and last day at Bryce, we did a hike called Mossy Cave - as recommended by our cabin owners. A short, easy hike they said, to a waterfall. After all the hiking that had been done - "short and easy" wasn't exactly as it sounds for myself! Oh Bryce Canyon, you are awesome.